Winter in San Diego is different from other places. Rather than having to adjust our lives to deal with freezing temperatures and shoveling snow, at worst, we might have to switch to long sleeves, or maybe have our latte hot instead of iced. To sympathize better with our brothers and sisters who live in more traditional climates, here are some books that deal with real, actual, winter cold. 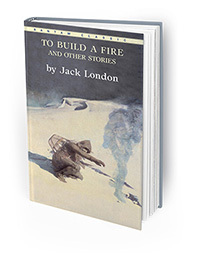 One of the most memorable tales I know about the cold is Jack London’s “To Build a Fire.” It’s a short story, but very intense. A man travels through the Yukon wilderness during temperatures lower than -50 degrees, trying to survive as things go from bad to worse. Decades after I read this story in school, I still remember the visceral descriptions of cracking ice, the physical pain of extreme cold, and fear of not being able to find warmth ever again. As I understand it, there are two versions of this tale, one that ends well, and one that … doesn’t. 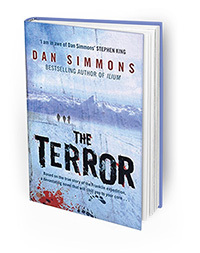 Another wintry survival take is Dan Simmons’ “The Terror.” Set in another frozen clime, two British ships become trapped in sea ice above the Arctic Circle, and the crew must struggle with the elements. The book is historical fiction, based upon Sir John Franklin’s doomed British expedition in the 1840s. While searching for the Northeast Passage, the poor crew instead finds frostbite, starvation, mutiny, and in this author’s version, a murderous supernatural creature. You may have heard of this title recently, as it became an acclaimed TV horror series. But winter isn’t always grim. 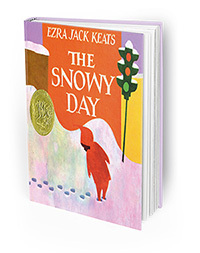 Ezra Jack Keats’ classic children’s book “The Snowy Day” is a joyful look at the season. With minimal text and fabulous, stylish art, we see young Peter’s first experience with snow. Keats does an amazing job showing the boy’s wonder, playfulness and zeal as he discovers his own footprints, makes snow angels, and uses his imagination in this new and unexpected environment. It is an award-winning book, and well-loved over the generations for good reason. If you like learning about books from these columns, you might also enjoy the library’s Coffee + Books program. 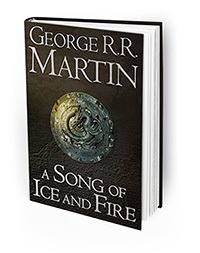 On Wednesday, Feb. 13 at 10 a.m., library staff will recommend a variety of new book titles and hidden gems that you might enjoy, while you can snack on some light breakfast and coffee. And speaking of learning, San Diego Oasis will be teaching several free classes at the library, starting with Medicinal Cannabis 101 on Feb. 21 at 6 p.m.
— Jake Sexton is librarian at the La Mesa branch of the San Diego County Library. Call the library at 619-469-2151, visit in person at 8074 Allison Ave., or visit online at sdcl.org.